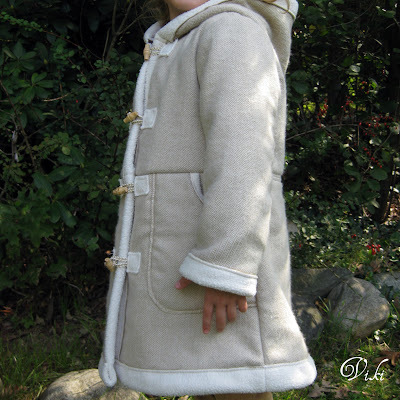 I used herringbone fabric for this lightweight coat, lined it with ivory fleece. Perfect for not-too-cold days. Wooden button front. Machine washable.